VILLA FLORIE Guest House & Condo is located in the secure residential area of Villas Ana Maria. It is a beautiful house of Victorian style that lies in perfect harmony with its lush tropical surroundings. It offers excellent room rates. Combine that with our special Caribbean charm and get your vacation off to a great start. This privately owned and managed Guest House & Condo is located just 5 minutes from the center, banks, discos, bars, restaurants and shops are all right there. Villa Florie has a nice outdoor swimming pool with decking area where you will be able to cool off which is surrounded by lush tropical garden with coconuts tree, lemon tree, banana tree and relax in sun beds. We have a laundry service. At this site you will find all the information about our rooms and apartments, the surroundings and activities in and around Sosua. If the sun makes you thirsty, you can always have coffee, tea, fruit juice, bottle of water, soda, cuba libre or mamajuana. Both rooms have a balcony, fresh color painting and a shared bathroom with multi jet shower panel, they are situated on the first floor where there is a nice breeze, across the living room you come to our terrace and you have to descend the majestic staircase to get to the pool. In the morning you can enjoy our breakfast in the common terrace in front of the pool or you can have it in your room. The apartments have a simple design and are situated on the ground floor of the villa, the apartment of 30m2 has fully A/C in option, the apartment of 50m2 has a private garden and a tilled terrace and the 2 bedroom apartment of 80m2 has a tilled terrace. The guest house & condo is open every day of the week, throughout the whole year. Owners Florie and Alain appreciate living in this beautiful beach town. They will do everything they can to ensure you enjoy your visit, and experience the beauty, variety and excitement Sosua has to offer. Unlike the all inclusive hotels, they offer personal service and you will have an opportunity to experience the local Dominican culture. 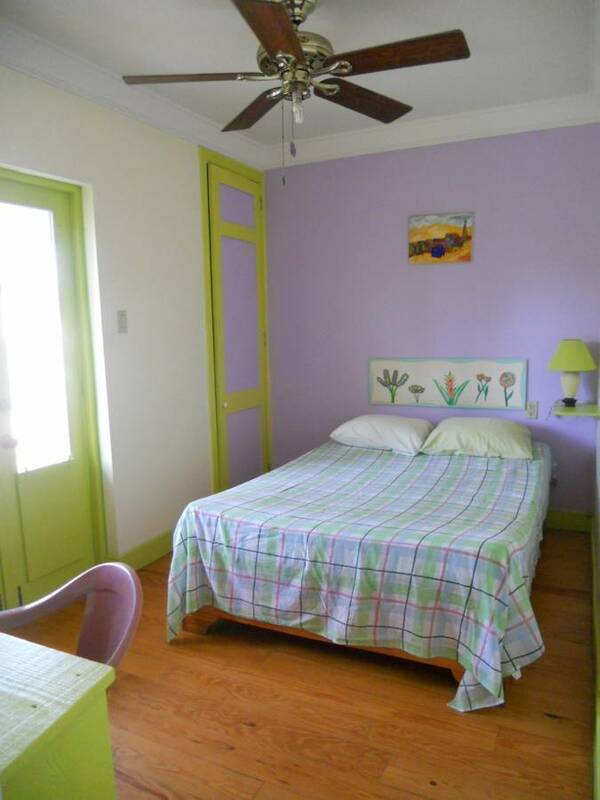 We hope that you will feel yourself at home, just like we do in our cozy guest house in the center of Sosua. MUNDO KING Museum is only at 2 kms and MONKEY JUNGLE 6 kms and in CABARETE at 12kms you can visit the caves in el Parque National del Choco. 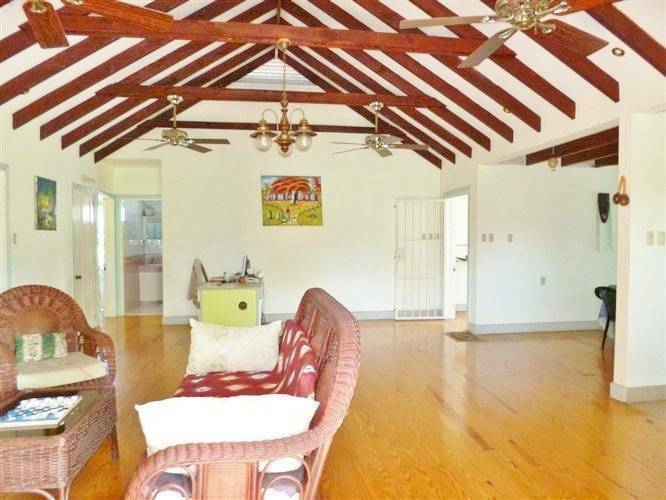 The villa is located at 8 km from Puerto Plata International Airport. Double Room : This room features a work desk, a closet and a table with chairs. It also has a balcony and a shared bathroom with a multi-jet shower panel. It includes access to the living room, to the american fridge and to the swimming pool. Queen Room : This spacious room features an orthopedic mattress, a work desk and a table with chairs. Guests also enjoy free Wi-Fi, a walk-in closet and a balcony, while the shared bathroom offers a multi-jet shower panel. It includes access to the living room, to the american fridge and to the swimming pool. Apartment 30m2 : This fully air-conditioned 1 bedroom apartment is decorated in a functional, tropical style, with tiled floors and simple wooden furniture. 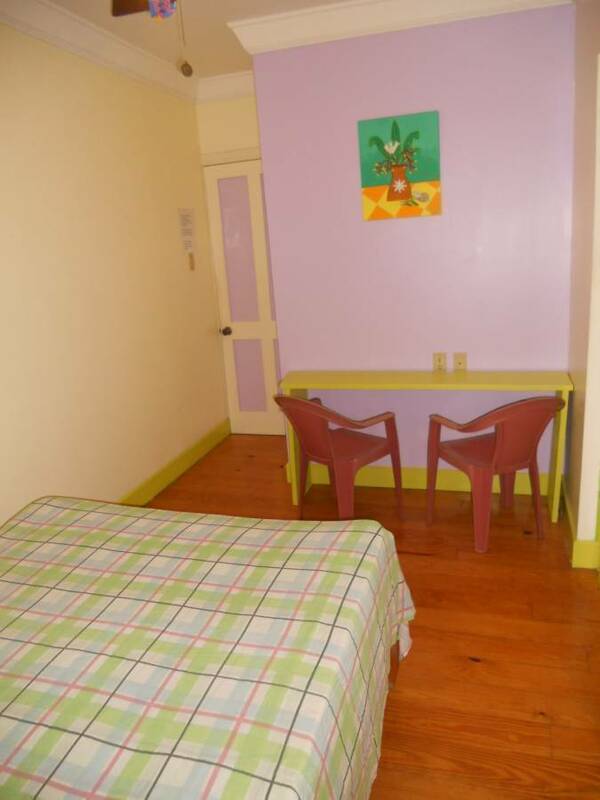 Cable TV, free Wi-Fi, living-dining area, private bath, stove-top and refrigerator. Please note A/C surcharge. Apartment 50m2 with private garden : This 1 bedroom apartment has private garden with tilled terrace, inside tiled floors, simple wooden furniture, cable TV, work desk, small library, living-dining area sofa, private bathroom, the well-equipped kitchen includes oven, fridge & freezer. Apartment 80m2 with terrace : This 2 bedroom apartment is decorated in a functional, tropical style, with tiled floors and simple wooden furniture. It offers a terrace, cable TV, free Wi-Fi, a living-dining area, a washing machine and a private bathroom. 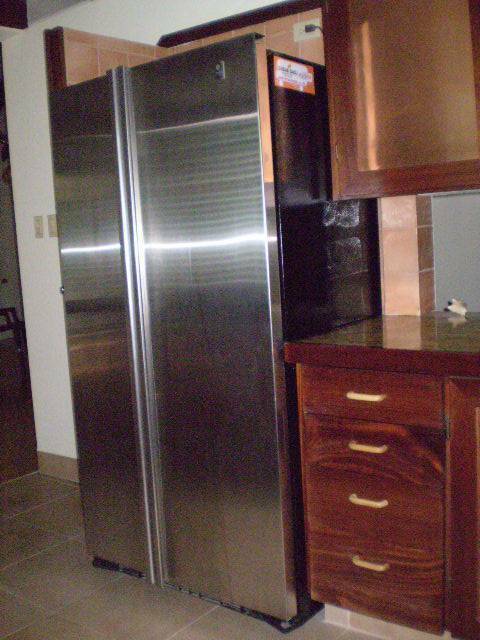 The well-equipped kitchen includes an oven and an American-size refrigerator and freezer. 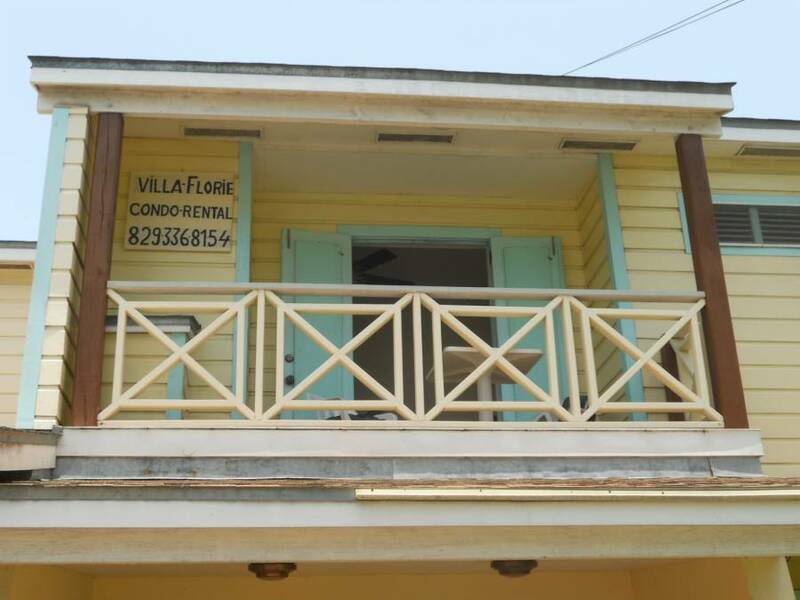 VILLA FLORIE Guest House & Condo is located in the secure residential area of Villas Ana Maria. It is located just 5 minutes from the center, banks, discos, bars, restaurants and shops are all right there. For rooms in case of no-show or late cancellation (1 day before arrival) the full price of one night will be charge. For apartments in case of cancellation (after 14 days before arrival) 100% of the total price of your reservation will be charge. For room it will be ask 200 RD$ or 5 US$ deposit key who will be refunded the day of departure when you give back the keys. For apartment a deposit damage of 2000 RD$ or 50 US$ will be ask at your arrival and will be refunded the day of departure after the verification of the apartment.